Instagram and Pinterest has been full of so many fun creations for Halloween. 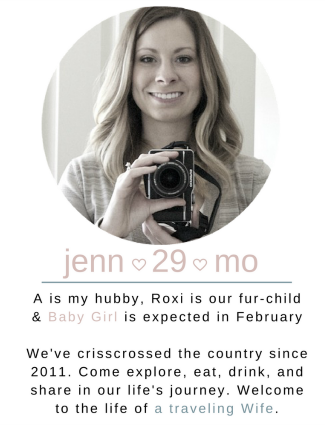 I've seen crafts, decor and, of course, lots of food items. I didn't want to be left out so I had to start brainstorming up my own ideas. If you recall, I am not one to turn down a few goodies here and there. I mean, remember the huge bags of candies I purchased during my spell book tutorial? I agree 100% with the 80:20 lifestyle - 80 percent clean and 20 percent anything else. One item I like to splurge on is cupcakes. 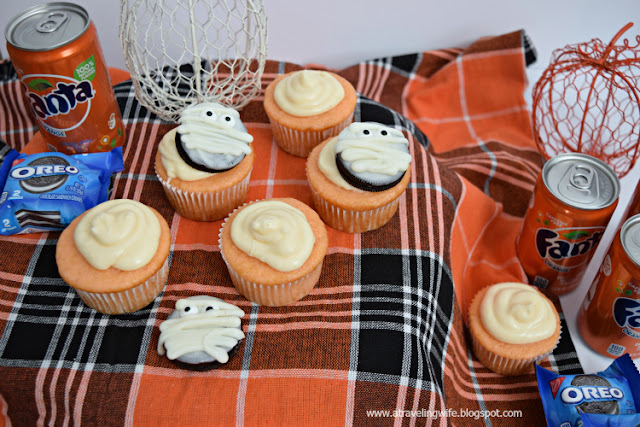 But plain old cupcakes just won't do it to celebrate Halloween - I needed to up my game. 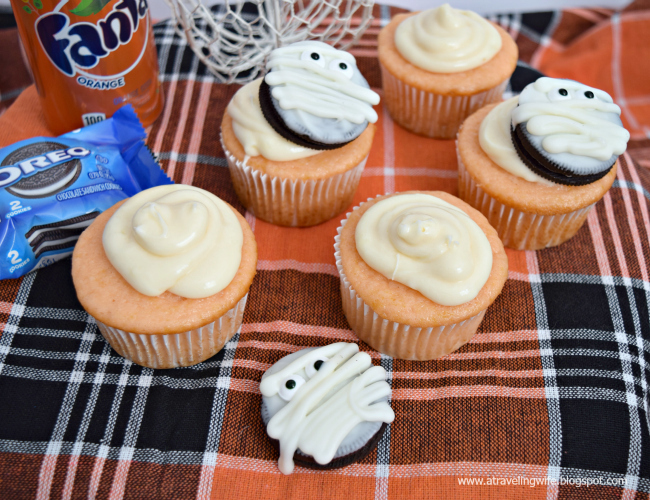 That is when the two ingredient cupcake was born and I topped it with festive mummy OREOs. These are a perfect black and orange combination for Halloween. You read that right - two ingredient cupcakes. I saved you the hassle of having to break out all of your measuring utensils, but more importantly, I just cut out more than half of your dishes. You can thank me later. 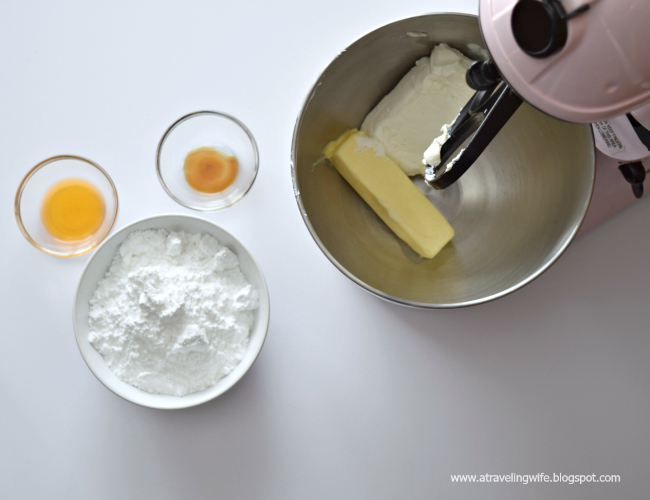 Can you guess what two ingredients you'll need? Click to tweet: Did you say two-ingredient cupcakes? Sign me up for that. If you guessed store-bought white cake mix and orange Fanta soda, then you guessed correctly. 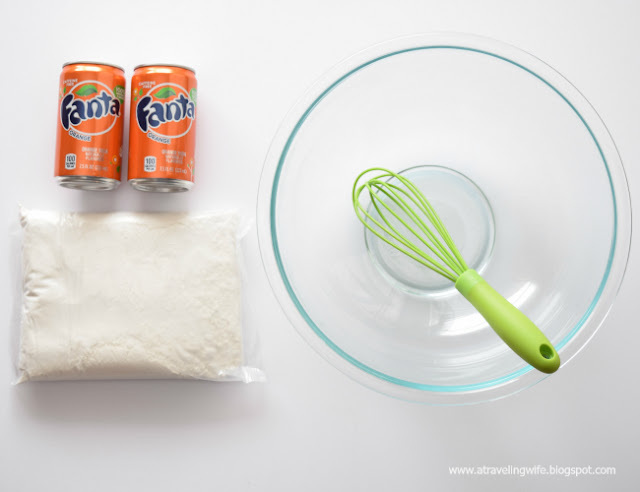 Just take the cake mix out of the box and mix in the Fanta soda. 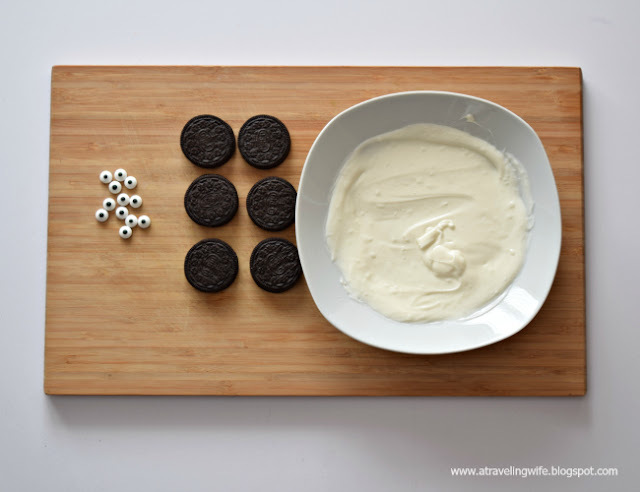 Hello - have you ever met a simpler dessert in your life? 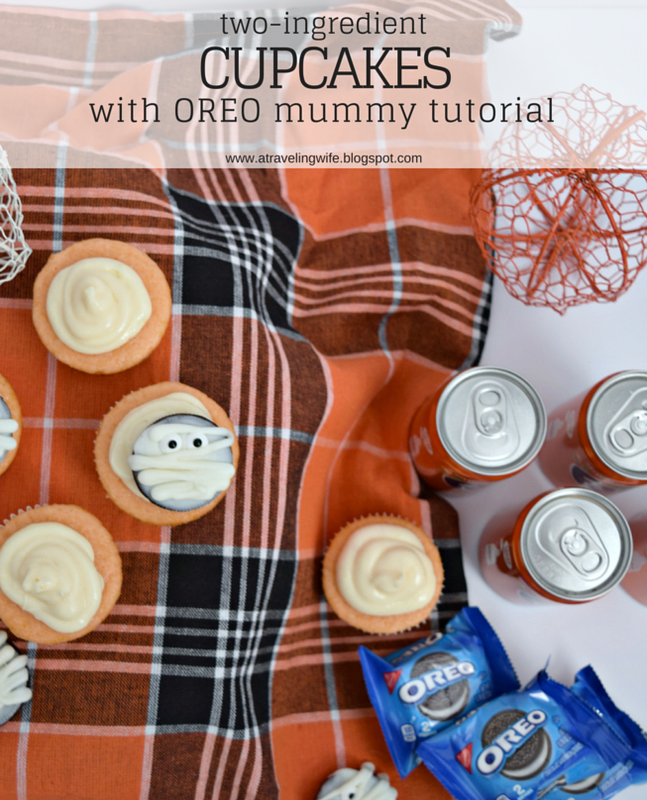 Now if you thought the cupcakes were beyond simple to make, wait until you see how to make the super adorable mummy OREOs. I used edible googly eyes, OREOs, and white chocolate bars to make the mummies. The bakers chocolate is pretty easy to work with - I just microwave it for 30 seconds at a time, stirring in between each round until it was super smooth. 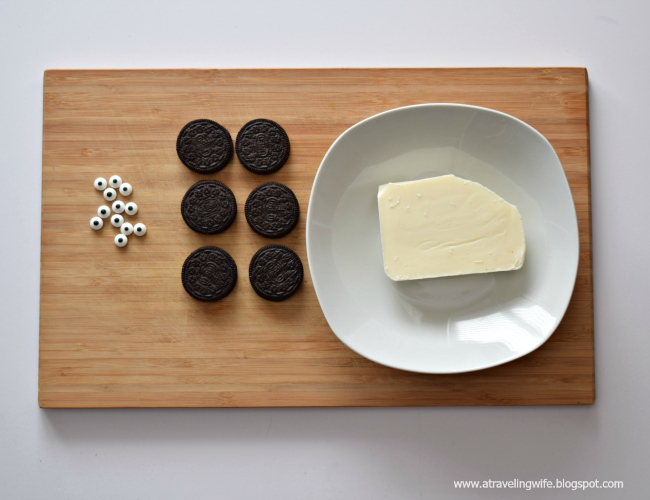 Then I dipped one side into the white chocolate and placed the googly eyes on top. I allowed the chocolate to dry prior to adding the second layer of chocolate - the layer that will create the mummy folds. I used a decorator press to create the mummy folds but you would get the same effect if you placed the melted white chocolate into a sandwich bag and cut one of the corners off. 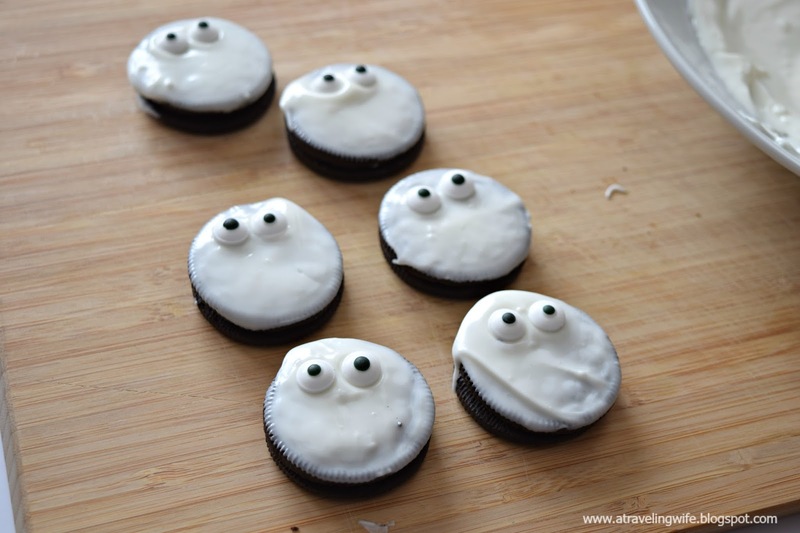 Click to tweet: Mummy OREOs are perfect for Halloween. Step one was super simple and step two was pretty easy too. Now onto the cream cheese Fanta frosting. 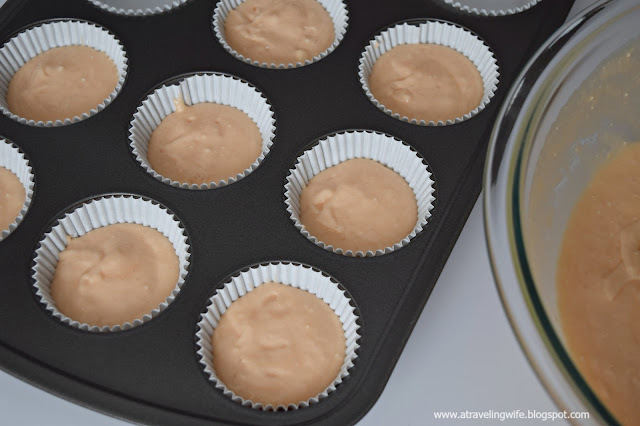 This might be the most difficult part of making cupcakes, but I am all about that homemade frosting. For this particular frosting I used butter, cream cheese, icing sugar, vanilla extract, and a splash of Fanta soda for flavoring and color. Once the frosting is whipped up well, I dare you not to eat the entire bowl with a spoon. 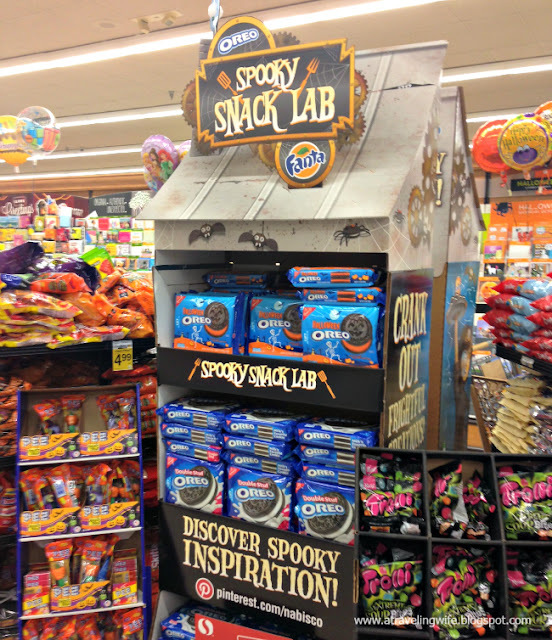 Put everything together and you have a spooky delicious and festive treat. Enjoy! Luckily, my local Safeway had most of the ingredients I needed right down the center aisle. And lucky for you, there is an exclusive offer to save $1.50 when they buy (1) Fanta mini-can or 8-pk 12 oz. bottles AND (1) Nabisco Cookie or Cracker (4.5 oz. or larger, any variety.) - see store for more details. Have you started making holiday snacks yet? What is your favorite Halloween treat? There are a ton more fun ideas here. !!!! This is my nine-year-old dream!!! I make dump cake all the time. My husband's favorite is dreamsicle with orange cake mix and diet sprite. Oh, yum. Orange and Sprite sound like a create combination. Somehow I have never heard of dump cake, but I'm assuming it's the same thing. The combinations are endless, which is my favorite part about this! I need to give it a shot. I'm thinking cherry coke and chocolate cake mix.... yum! Absolutely!! Mix it up and try anything you'd like. The cherry coke and chocolate would be amazing. Now what type of frosting would you choose? !